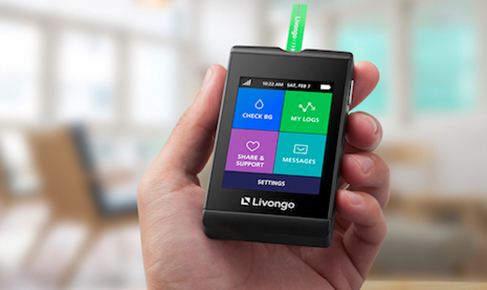 Last week, Livongo announced the launch of a “direct-to-consumer” version of its diabetes management program: unlimited test strips, a cellular-enabled blood glucose meter, and 24/7 access to support from Certified Diabetes Educators (CDEs). The program is called the Livongo “Family Care Plan,” and is available at a promotional price of $49.99 per month without insurance (minimum three-month commitment). Beginning on August 11, 2017, the price for new subscribers will become $65 per month. Livongo also announced partnerships with several diabetes non-profits in coordination with the launch. The company will donate $3 per month per person on the Family Care Plan if they sign up through one of the partnership enrollment pages: Diabetes Hands Foundation here, Beyond Type 1 here, and JDRF here. This “consumer” launch is an important step for Livongo to broaden access to its program, which was previously only available through select employers and health plans. Currently, over 35,000 people use the Livongo platform, and the company ambitiously hopes to increase that to 100,000 by the end of 2017. What does Livongo’s Family Care Plan Include? A Livongo cellular-enabled blood glucose meter, which automatically uploads blood glucose readings to a mobile app and a web interface. Family members can also receive text message alerts after blood glucose checks – welcome peace of mind for some. Unlimited test strips (no prescription or insurance). Access to Certified Diabetes Educators, available 24/7 for real-time coaching and support through the Livongo app and website. Diabetes educators will also reach out to a member within a couple of minutes if a reading is too high or too low (think “OnStar For Diabetes”), something that many Livongo users value, especially those newly diagnosed or starting on insulin. Are there other services like the Livongo Family Care Plan? One Drop Premium, another offering with unlimited strips and coaching without a prescription, is priced at $39.95 per month, or $33.33 per month with a prepaid 12-month subscription. The One Drop Chrome blood glucose meter costs an additional $79.95 to $99.95 on top of the subscription. One Drop Premium and the Livongo Family Care Plan differ on a few things: the One Drop meter uses Bluetooth and is relatively minimalist, with most information and interaction occurring in the app; Livongo’s meter includes cellular and most interaction occurs on the meter. See past diaTribe coverage on One Drop Premium to learn more. diaTribe is glad to see at least two programs with unlimited test strips available for consumers with diabetes – cost should not be a barrier to knowing one’s glucose levels! Are you on the Family Care Plan or have you used Livongo? Tell diaTribe what you think!